One of the best-kept secrets in shooting. CZ's fine, mid-size polymer pistol offers a blend of accuracy, reliability, and build quality that rivals some of the pricier European "exotics" - but for a fraction of the price! The P-07 features the outstanding Omega trigger…offering simple no-tools assembly…disassembly, less creep, cleaner pull, and longer life. It sports a firm grip with instant and intuitive targeting. 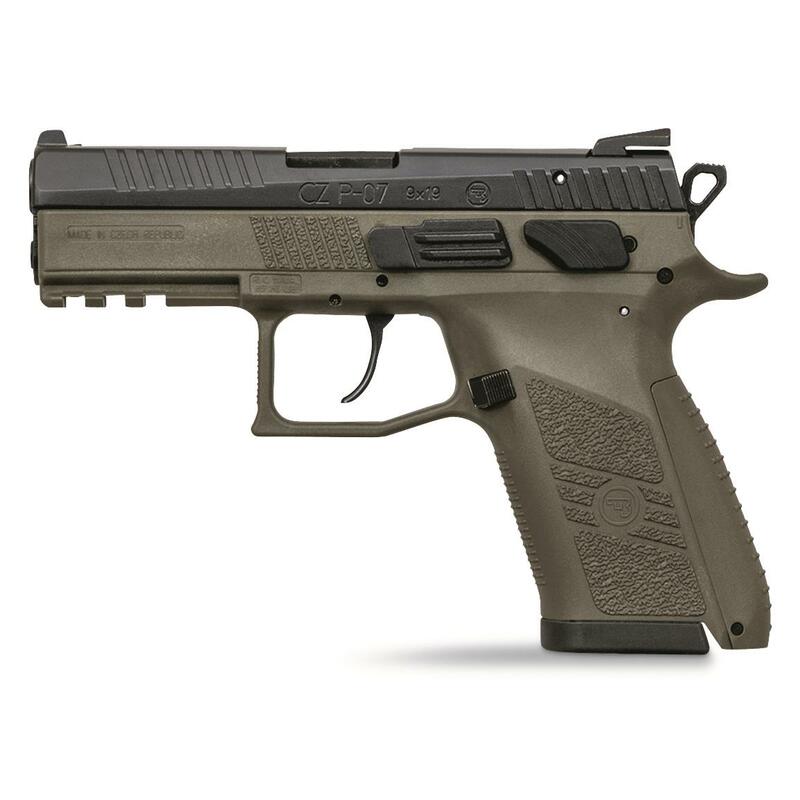 The low-lying barrel axis combines with the slide backstop, allowing you to control the P-07 even during rapid firing—making it an outstanding carry weapon. It has been extensively field-tested, demonstrating not only excellent accuracy and reliability, but also extremely high corrosion resistance and durability. It's an outstanding gun on its own merit, exceptional at any cost…but the low price is what makes it a home-run in our book. 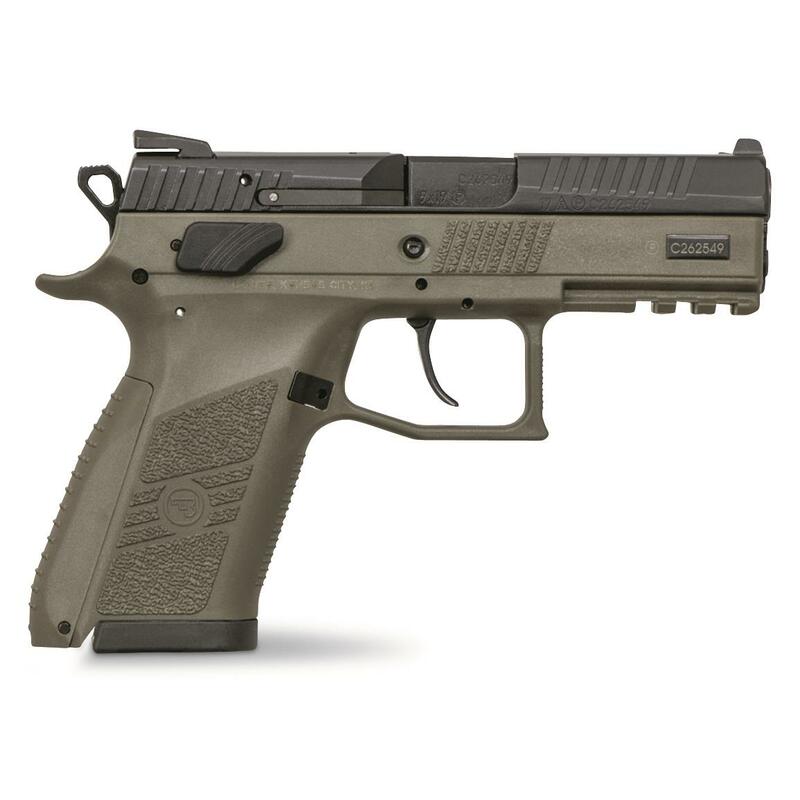 CZ-USA P-07 Gen 2, Semi-Automatic, 9mm, 3.75 Barrel, Olive Drab Frame, 10+1 Rounds is rated 3.0 out of 5 by 1. Rated 3 out of 5 by Alex from Love it. One issue though. I've put 240 rounds through it. Love the pistol. I just HATE the two ten round magazines that came with it. I dont live in California. I shouldn't have to be restricted. I have a 17 rounder from a CZ75 I've been using to get by. I need the 15 or 16 rounders that fit flush!! !